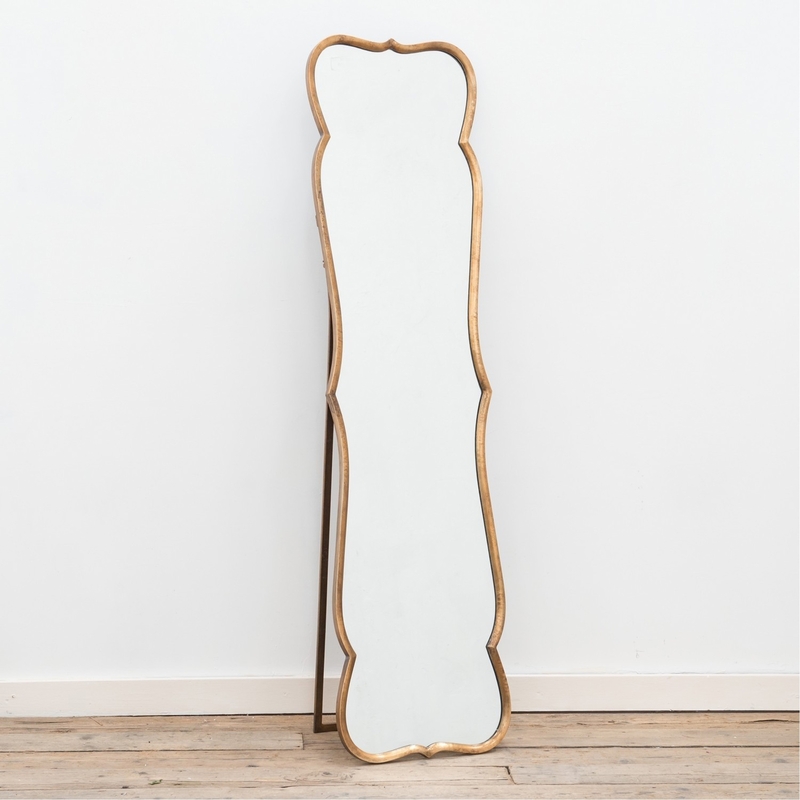 Introducing this gorgeous full-length mirror that has a curvaceous handcrafted metal frame with subtle feminine curves , this item will effortlessly add style to your home. Also , this mirror is great for bedrooms or hallways to give a sense of airiness , space and light. This mirror is grand and extremely impressive alongside other pieces of gold furniture we have. Furthermore this mirror is ideal for narrow hallways and also bedrooms as a dressing mirror.